I recently switched cell phone providers. I’ve been a Verizon customer for a few years. I never had coverage or customer service problems, but my cell phone bill was crazy expensive. I was enrolled in the package with the fewest minutes available [450 minutes a month] because nearly everyone I know has Verizon and it's free to talk to them. At the time, I didn’t talk on the phone much. I had an iPhone and the required data package for $20. I was also “grandfathered” into the unlimited text messaging plan that I previously had with Alltel. That’s what my entire plan entailed. I didn’t have multiple lines or add-ons, and on average, my phone bill was $110 a month. That’s ridiculous to me. I've been talking on the phone a lot more than usual lately. I typically talk on the phone for an hour or two a day. So I called Verizon because I wanted to increase my minutes and learned that I would need to change my entire plan to do that. If I changed my plan to a higher minute package, I would no longer have the unlimited text messaging—so I could tack on an additional $10 to my bill for that. Basically, this plan change would cost me an additional $30 a month. I was not willing to pay $140 a month for a single line. Thanks, but no thanks. That’s the reason I decided to switch to Sprint. They have an unlimited TEXT and DATA plan for $69.99. Why would I pay $140 a month when I can pay HALF that much and talk, text, and data it up as much as I want? My mind was made up. I canceled my account with Verizon and opened an account with Sprint. I signed up online and ordered the phone they were offering free as a promo at the time. I was paying an early termination fee to cancel my account with Verizon and planned to sell my iPhone on eBay to pay the fee. Everything went according to plan. I sold my iPhone for $285 and the fee to cancel was $250. 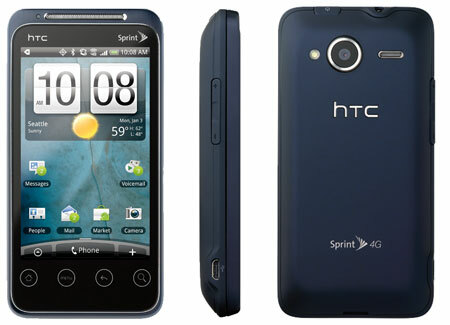 However, the free phone—the EVO Shift—was a complete piece of crap. At first I was kind of excited about owning a Droid phone again. Don’t get me wrong, I loved my iPhone. I just missed the ability to customize everything. But after a week or two of using the EVO, I desperately missed my iPhone. The phone was slow as crap. The battery died faster than Clemson blew it in the Orange Bowl [and that’s pretty freaking fast]. It was impossible to text on that thing... it always claimed I hit these random buttons. I hated the stupid Shrek looking smiley faces. I hated the fact that I dropped calls on the reg—and to be honest, I worried this was a Sprint issue. I missed Instagram, and screen shots, and Family Feud with Friends. Long story short, I missed my iPhone! Prior to this experience, I never understood the whole obsession with Apple products. I hated iPhone snobs and their delusions of superiority. Even when I had my iPhone, I hated them. 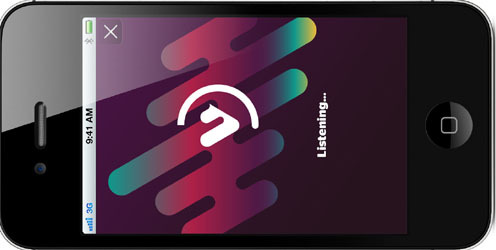 I could appreciate Android powered phones. There were many times that I missed my Android phone. In my mind I understood that the iPhone is a great phone but didn't understand why people acted like it [and all Apple products, for that matter] were "the Holy Grail" of technology. I hated how much Apple monopolized and controlled their users by forcing them to use certain cellular providers or purchase everything via iTunes. Now, I understand. I've joined the crowd of iPhone snobs because I will NEVER use anything else. 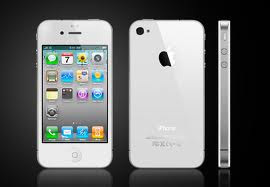 I finally broke down and bought the iPhone 4S on eBay because I couldn’t stand the EVO anymore. Unfortunately, the 15 day window passed and I couldn’t return my phone to Sprint for a new one. And I still gladly spent the $500 it cost me to buy one on eBay. Yes, $500! But, dear iPhone, I’ve missed you so. If you used the iPhone, switched to another phone for a short period of time, and switched back to the iPhone again… I promise you’d be amazed at the difference. The internet is sooooo much faster. I haven’t had one dropped call. [I'm glad it wasn’t a Sprint issue.] The battery lasts ALL day! The picture is clear and crisp. The notifications alert me when they should. Scramble with Friends, need I say more? I could go on and on and on… but I’m pretty sure you get the picture. 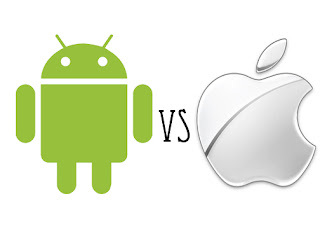 I haven’t always been a believer but iPhone > Android. Tested and proven. I use to have sprint but had NO service where I lived. I switched to att and have never been happier. hubs has verizon and he hates it!! Im in the same predicament with Verizon... have had them since I switched from Sprint 5yrs ago. For one line, I pay $118/mo, so it sounds like we have the same plan. J started working for Sprint 3mos ago as a phone repair tech, and since I have a yr left on my contract, it sounds like I am going to be paying the early termination fee and switching over sooner. 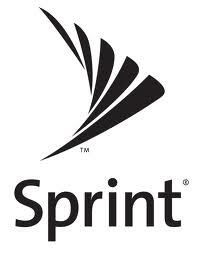 Its insane to pay that much for one line, when Sprint has it for half of the price!!! I need to look into Sprint my AT&T bill is not nearly as high as your Verizon but still pretty expensive compared to Sprint. Also thank you for reminding me about Viggle! I read about it on yahoo but completely forgot to download. I need to get that app! I don't know what I'd do without my iphone! 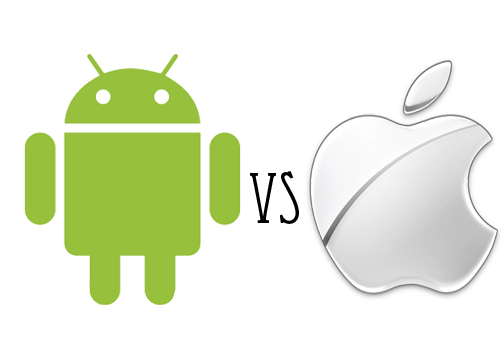 You just totally justified my decision to switch from an Android to iPhone...getting mine this week! I became an apple convert years ago, but that only pertained to mp3 players and computers. but now, excited about my iPhone!